Naturally I appreciated the company though he had to stay outdoors since I don’t want to be evicted into the wilderness. I would learn later too why that sentiment of appreciation is shared. Very nice lodge/guardhouse. Population: 2. Panguipulli really isn’t what you’d call a tourist destination. Most visitors drive. I took a public bus where the nearest stop is somewhere in the middle of the road, in the middle of nowhere. What brought me there though was the promise of crazy-looking hotels that are completely out of my budget. Oh, and the promise of a decent ride I guess. 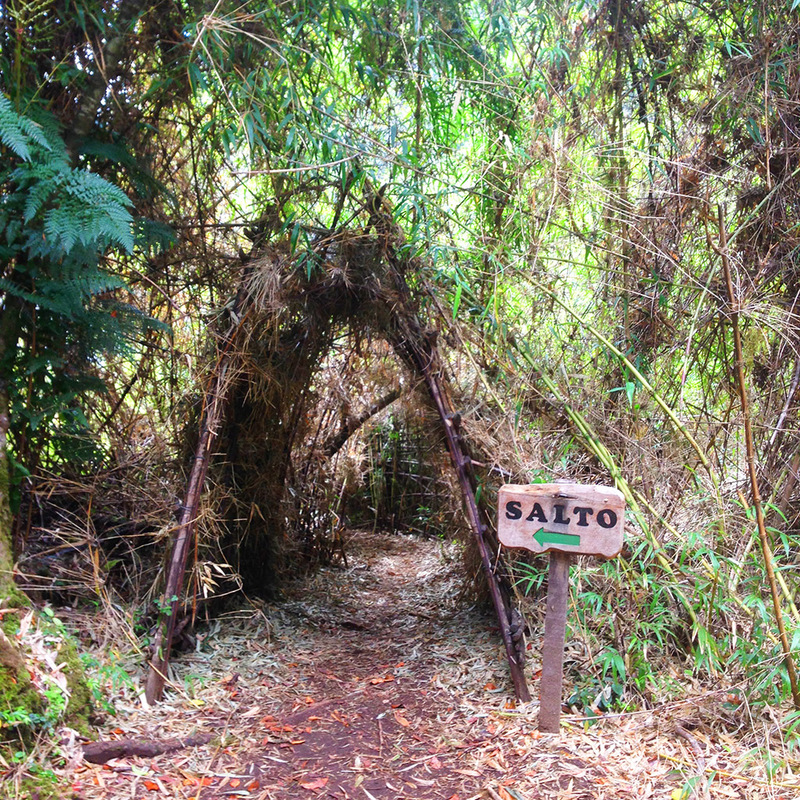 There was also a nearby nature reserve which led you to the Salto del Puma. This is pre- being BFFs with my canine companion. It did occur to me at some point that that translates to the Puma Falls and they probably named it because there are pumas nearby. Maybe it wasn’t such a good idea to be riding alone. But hey, that’s the beauty of foreign languages – ignorance is bliss (at least for a while until translation became understanding). On my way back to town to stock up on supplies before I die of starvation to an audience of zero, said dog and I met. We made eye contact and both knew somewhat that we found each other. The dog had some scratches and semi-fresh wounds. I would unicycle and he would trot along happily…into my path, completely oblivious that we both wouldn’t be too happy if our paths intertwined. There were SO MANY TIMES I had to jump off my unicycle when he would abruptly turn into my way. Well, when we rode back from town, there’s where our story really starts and where my photos end. Apparently our pal here isn’t exactly the popular dog of the land nor is he the brightest. Every other dog hates his guts and isn’t afraid to bark so. I started noticing when every dog in the yards of homes started barking or growling quite intimidatingly. Now these aren’t tiny puppies or pomeranians we’re talking about but legitimately huge dogs. My newfound friend would zigzag between me, the road and the houses across almost mockingly, incurring the wrath of dog-dom everywhere. Every now and then, I swear he would wander into the path of oncoming traffic, causing them to swerve into my direction. Traffic wasn’t fast-moving since it is the countryside and the motorists are well-calibrated (it seems) to stupid animals so I was safe from them. 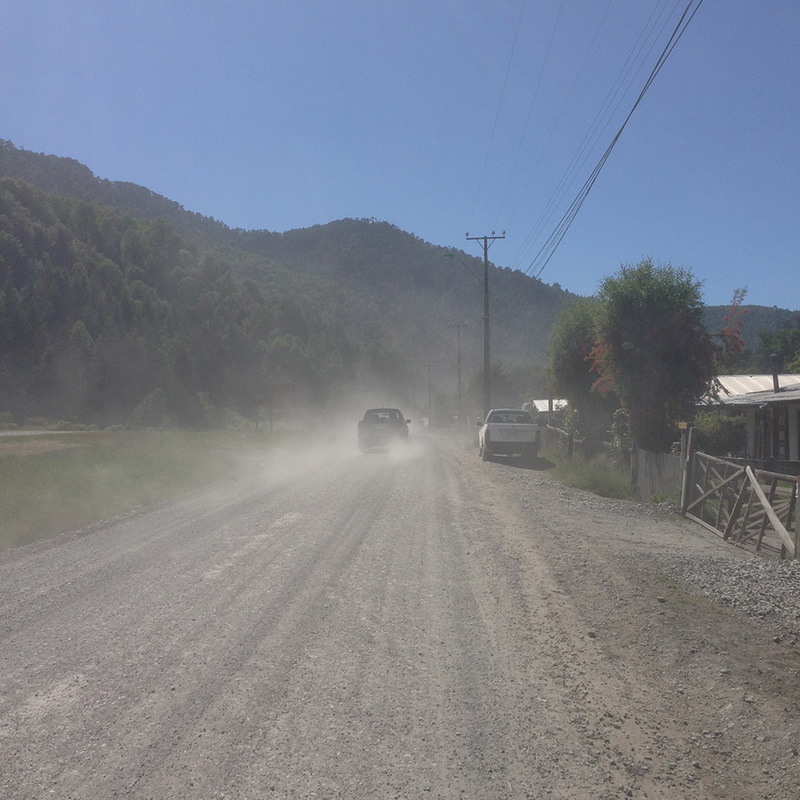 I alternated between keeping an eye out for cars, the dust and my friend running into my path. Since this is Chile, in the Andes, there were the biggest condors I’ve seen in my life. 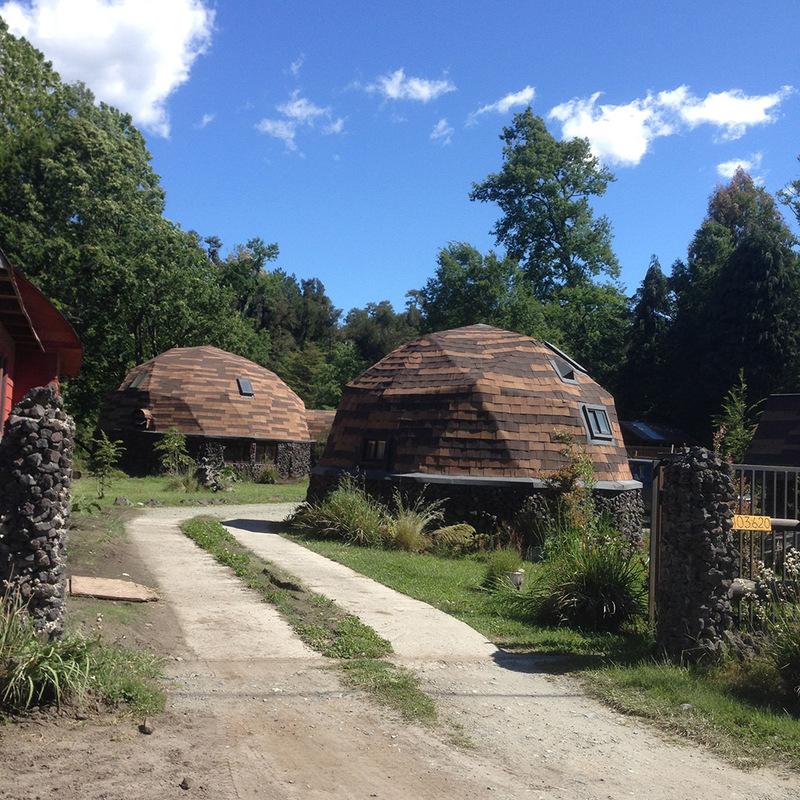 If you Google for Huilo Huilo or Panguipulli, none of the image hits would show the massive birds staring daggers at us. They were 1/3 my height, with a wingspan of at least my arm’s length I’m sure. These were killer birds if they wanted to be and they would be in a flock (a murder of birds?) by the roadside waiting for some dumb foreigner to be their first international cuisine. On my ride back, the barking got more furious. My pal would literally lead packs of suspect-wolves to us and then use me as a meat shield as they attempt to inflict damage to him. 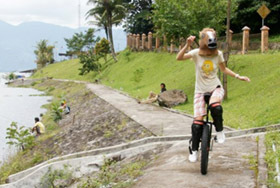 None of the pet wolves were attacking me but it took a lot to weave my way – on unicycle – out of the first pack. Then there was the second. 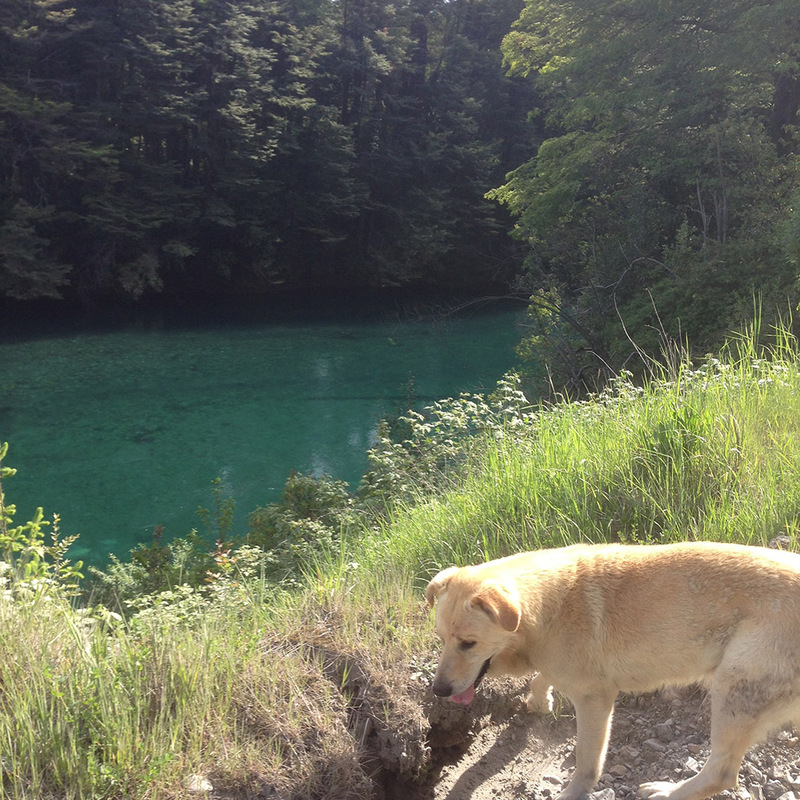 Before long, a pack swarmed us, splashing mud all over us as Bad Dog played hide-and-seek with me in between. We were so overwhelmed by dogs I had to jump off, grab my unicycle and run away from the hordes. That’s about the tipping point where my pal decided that I wasn’t the hero that he needs or deserves. Somehow, we made it back with as little trouble as was possible. I brought back a luxurious yield of… peas, rice and tuna. It’s a small town’s minimart, I wouldn’t expect more. I shared a portion with our friend and went to bed, hoping for a better tomorrow. The next day, I couldn’t find the dog. Food was gone, though. Guess he didn’t like peas that much?